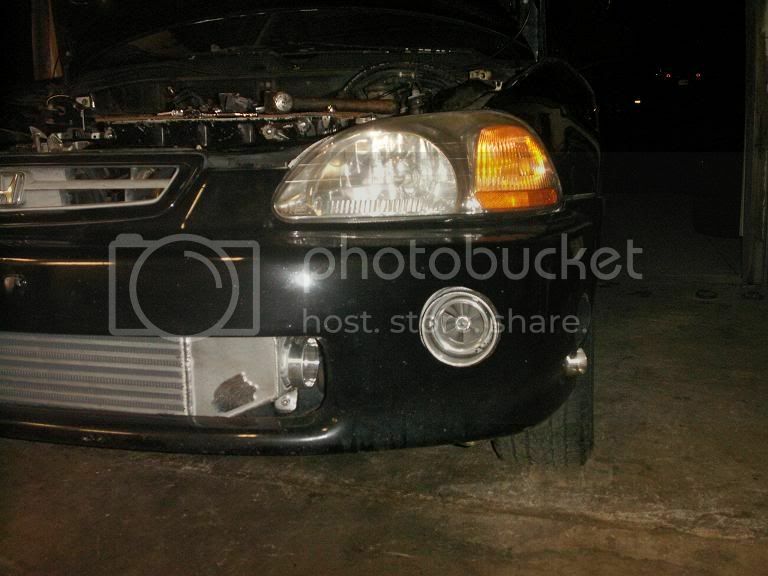 i'm wanting to mount my turbo under the intake manifold for to have it kinda hidden for a sleeper look. i have an ebay t3t4 50 trim to use but not sure if it will spool decent all the way back there. i was thinking i would need something small like a t25 or 14b or something like that. but then i look at ramhorn and topmounts and so on and those have fairly long runners and still use decent sized turbos, but those are also used for higher hp at high rpm. just wondering what i should use for a 250whp daily driver. he means a use a log manifold.. a log manifold sits down below the head. so you cant see it as much. 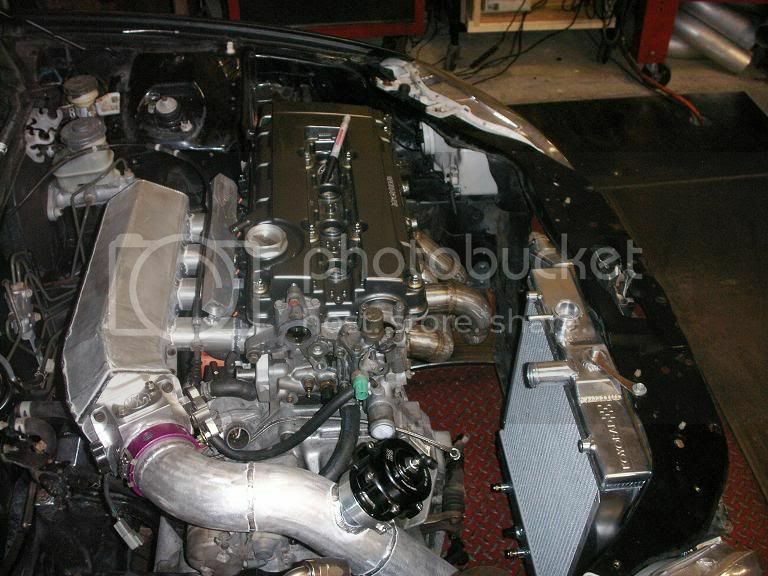 as for you saying you want to put it back under the intake. good luck with that. dont think you can do it. just go simple and stop trying to hid a boosted car and show your stuff. waste of time and $. 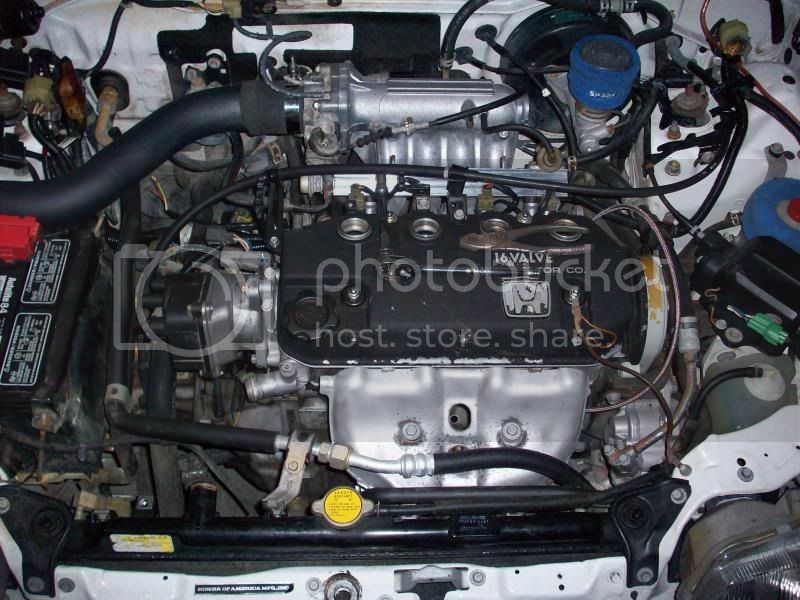 if you dont want to see a turbo under the hood but still want the power...use n20. yeah i get that but what about ramhorns and top mounts? both of those are used to make big gains right? 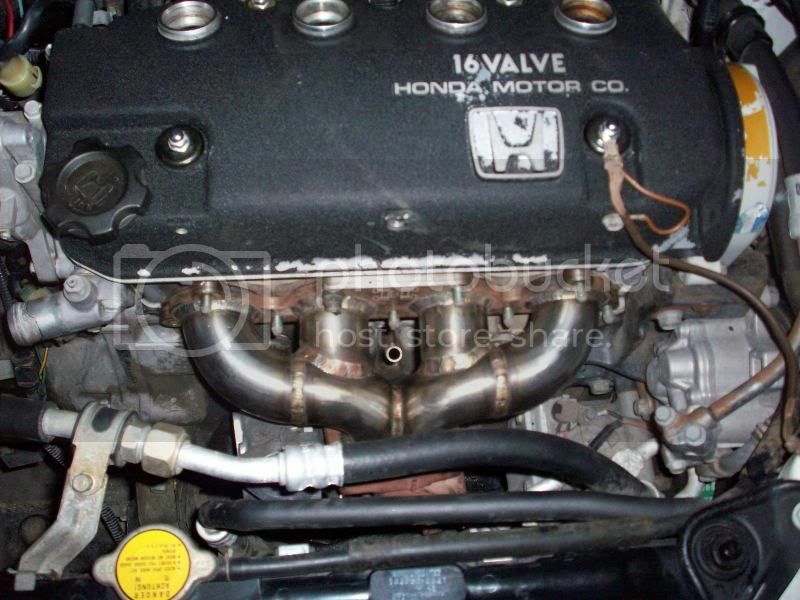 i want to use the stock d16z6 manifold and down pipe and bend up were it meets the firewall. i figure i can keep the exhaust speed up by having it bottle neck after it starts to cool. this header is def. 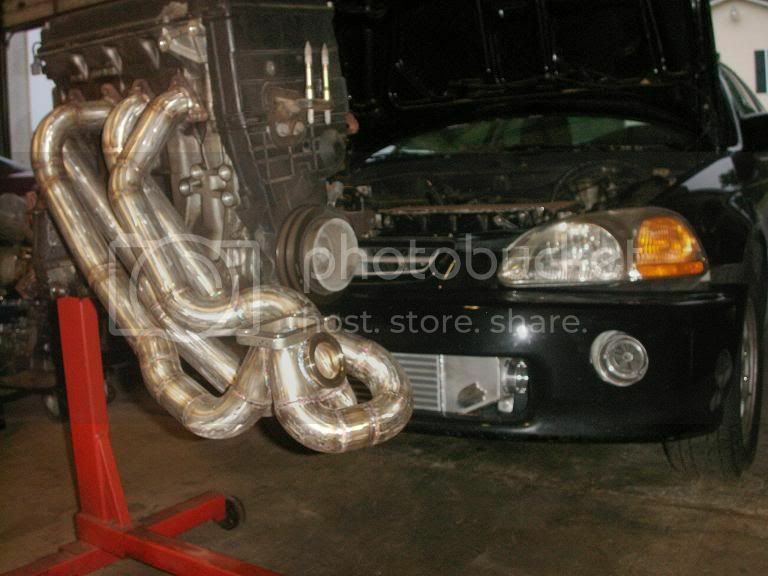 long enough to place the turbo under the intake manifold. 35r, makes full boost at 5k (just as good if not better than most 35r's) and made 660 to the tire at 25lbs of boost at 50% duty cycle on the boost controller. 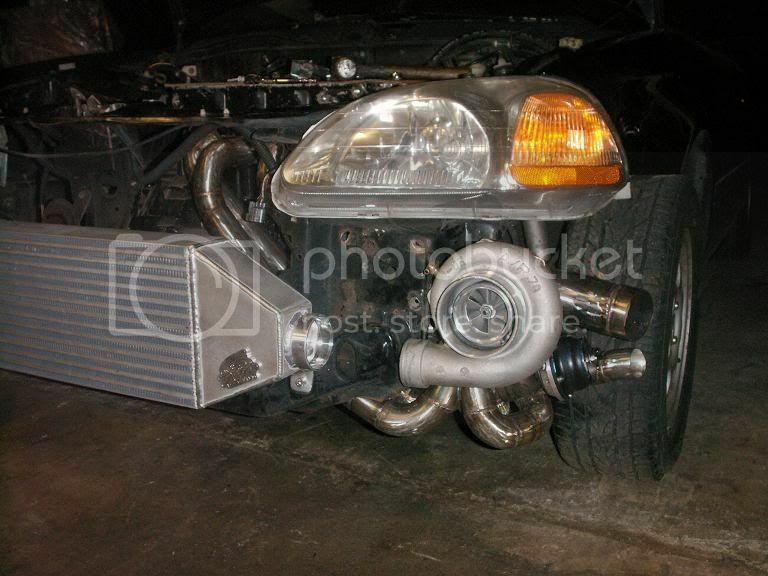 I don't think there would be any problem mounting the turbo in the rear of the engine. Logistically, there may be some packaging problems, ie, making it actually fit without hitting stuff, and getting charge / oil lines in / out. yeah i hear ya on that but nothing a little cutting can't take care of lol! for a rookie. just keep it simple man. 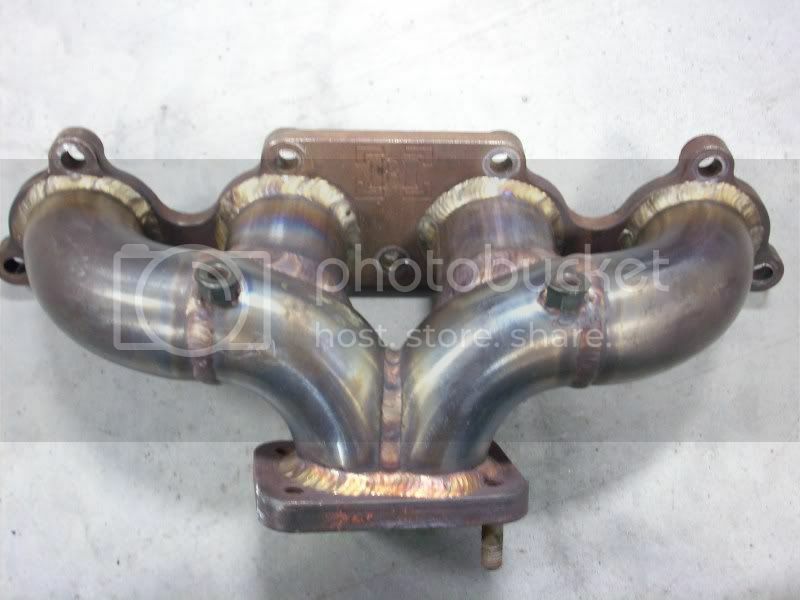 if you want to hide the turbo build a heat sheild off the log that will cover it, you could fab it to make it look almost like a stock exhaust manifold heat sheild. here is a setup i made to try and hide the turbo as best i could, most didn't know it was turboed. welded nuts to the manifold, so i could bolt on a hf heat shield. jg edelbrock vs. victor x?